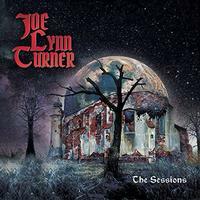 This is essentially a compilation disc of cover tunes from Joe Lynn Turner. Well, perhaps the first one doesn't really fit, as he was the original singer on the cut when Rainbow released it. Still, you get the idea. Not everything here is heavy metal. That much is certain. Some of it definitely is, though. Other than a couple tunes, everything has some metal in the mix. There are some great guest appearances here ranging for the band Icarus Witch to Vivian Campbell, Michael Schenker and more. However you label this one, it's a killer disc. Starting pretty close to the original sound of this Rainbow tune, this screams out with metallic fury as it drives forward. I really like the infusion of adrenaline here. This is a classic tune and a great way to breathe new life into it. I have always been a huge fan of the original of this song. They start this, like that one, with keyboards. Then it works out to an arrangement that's not far removed from the original. I don't like this as much as I liked the opener. I also don't like it as much as the Red Rider version. It's good, but a little "by the numbers." It does get better later and there are some hints of crunch at times. Let the Music Do the Talking with Al Pitrelli, Carmine Rojaz and Pat Torpey. I dig the hard rocking sound on this cut. I think I like this better than the Joe Perry original version. This feels very much like Aerosmith, and even includes a bit of an actual Aerosmith tune built into it. Now, we wind up in definite heavy metal territory here. It has a mellower mode for the verse, but it's still crunchy. I love this cut. It has some killer metal in the mix. Given that I'm not a fan of Def Leppard, it's a tribute to just how good these guys are here. I love the original version of this. By that, I mean both of them as it was recorded both by Ozzy and Motorhead as originals since Osbourne and Lemmy both wrote it. This has a cool metal meets hard rocking sound here. It's another intriguing rendition of the classic tune. I barely recognized this cut until it hit the chorus. It's a bluesy rocker with some hints of metal. The original was Guns N' Roses. This one isn't as magical as that version, but it's pretty darned good. I dig the saxophone. This time around Turner turns his attention to Van Halen. This is rather close to the original, but there's a bit of a metal vibe here. AC/DC covered by Turner with Def Leppard's guitarist. Who would have thought it? I really like this version. It's just a bit more metal than the original, but in a lot of ways pretty similar. All you have to see is the name Michael Schenker to know that this thing is going to have some great guitar playing. They sure do a great job of transforming this Elvis tune into a killer metallic rocker. I don't like Elvis, really, but i Love this thing. I've always loved this Led Zeppelin tune. They bring a bit of a modern edge to it, but still keep it pretty faithful. Yes, there is some crunch here, too. This is one that I think is exactly equal to the original. Given who did that original, that says a lot. I love what the metallic edge does to this cut. It's a screamer here. It was always a great tune, but I like this version better than the original. I love the keyboards opening this Supertramp cover. This is a great renidition, but not metallic, really. I love this killer rocking rendition of the Steve Miller hit. It's a lot meatier than the original. I think this gains a bit of a hair metal edge in some ways. I don't like it as much as the original, but I like it a lot. It still manages to shine. There was always a bit of a metal edge to this cut. It gets a bit more of that here. This is a killer version that's rather faithful, but with an adrenaline injection added. With a bluesy rock vibe, I dig the energy and feel of this. It's a cool retelling of a classic song.